Traditionally made Montepulciano d'Abruzzo from one of the oldest wineries in Abruzzo.. The PIetrantonj philosophy dictates that the maturation of red wines is carried out in oak casks of medium and large capacity, in order to ensure that the qualities of the grape are faithfully preserved. 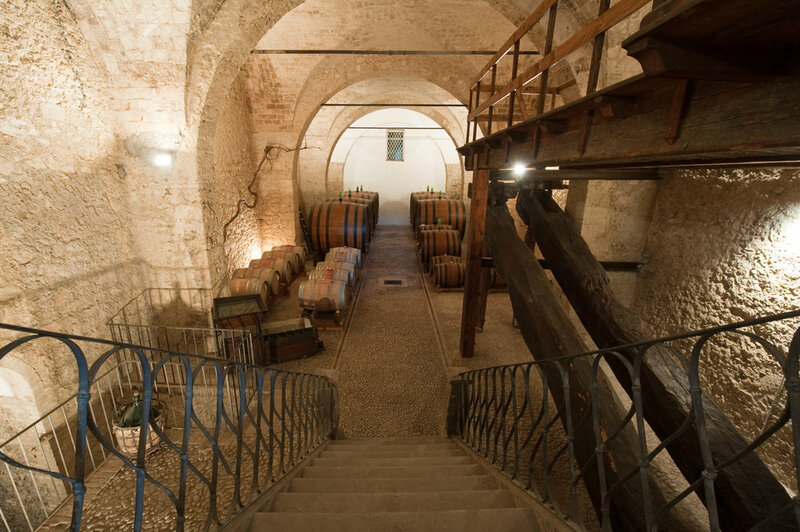 With records dating back to 1791, and an official start in 1830, the house of Italo Pietrantonj is as old as it gets for wineries from Abruzzo. Eight winemaking generations deep, Pietrantonj is rich with family heritage and tradition. 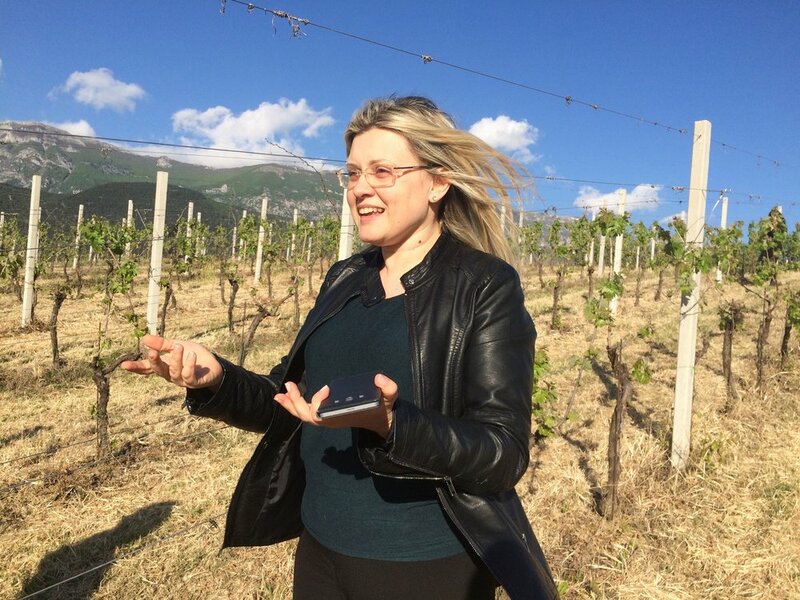 The winery is now run by two sisters, Roberta and Alice, whose great-great-great grandfather Nicola was the first certified winemaker in the Abruzzo region, gaining a diploma from the Royal School of Conegliano Veneto in 1889. The estate farms just over 60 hectares of estate vineyards high up rolling hills of the Apennine Mountains. To this day, the house shows off its 9,500 gallon oak and walnut barrels from 1870, and two 37,000 gallon tanks lined with beautiful Murano tiles that were built in 1893. The estate vineyards lie in the area between Vittorito and Corfinio, at elevations ranging between 350 and 400 metres. The vines enjoy superb exposure to sunlight, while the local terroirs receive abundant ventilation and experience significant temperature differences between day and night, thanks to the nearby Sirente, Maiella, and Morrone mountains that surround the Valle Peligna. The soils, which are medium textured, primarily clay but rich in organic material, give an assertive character to the wines that is classic to the area and characteristic of the wines grown on the mid- and high-level hillslopes. These conditions, markedly different from those in the plains or next to the coast, decisively favor the ripening process of the grapes, developing and concentrating the aromatic compounds and keeping acidity levels high. The 2015 ‘Black Label’ Montepulciano d’Abruzzo is a wine made in the traditional style. 100% Montepulciano from 30 year old owned vineyards on clay soils. Fermented in stainless steel followed by aging for 7 months in large 40HL Slovenian oak barrels. 12.5% alc.. It is a lovely wine full of dried floral and fruit notes complemented by soft leather and earthy aromas offering plenty of full flavors yet staying very pure and fresh so that the fruit is not masked, nor is too heavy in body. It is a lovely accompaniment to all sorts of game, as well as pasta dishes with hearty sauces. 100% Montepulciano - A classically styled rosé from the Abruzzo region where the grapes are sourced solely from the Collina Tesa vineyard. After a very gentle pressing, the juice is macerated for 12-16 hours with the skins in order to impart a perfect cherry hue. Fantastically fresh, bright, floral, and loaded with lovely earth tones. This Cerasuolo is the ideal of a dry yet full rosé. A real contrast to the ocean of light rosé available today.